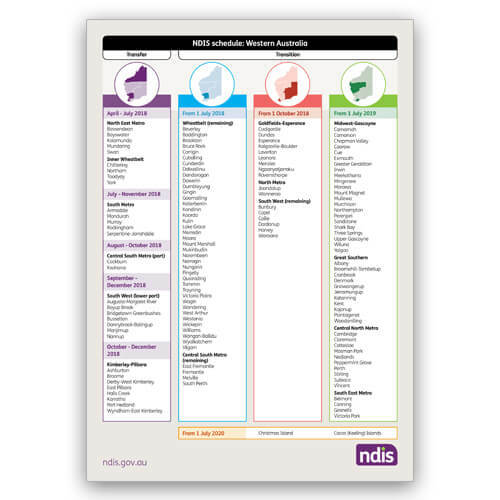 The NDIS began trials around Australia in July 2013.
one run by the WA Government Department of Communities – Disability Services. 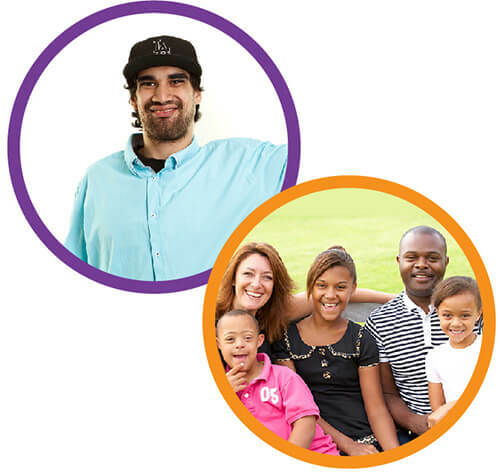 From 1 July 2016, the rollout of the NDIS began across Australia. 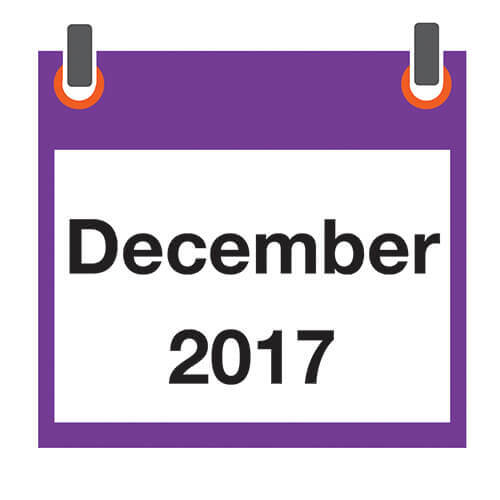 On 1 February 2017, the WA Government and the Commonwealth Government announced they had made an agreement to move to a locally managed NDIS. After the election in March 2017, the new WA Government committed to reviewing this decision. It made plans to talk to people with disability, their families and the disability sector about its decision. won’t continue with the locally managed NDIS. 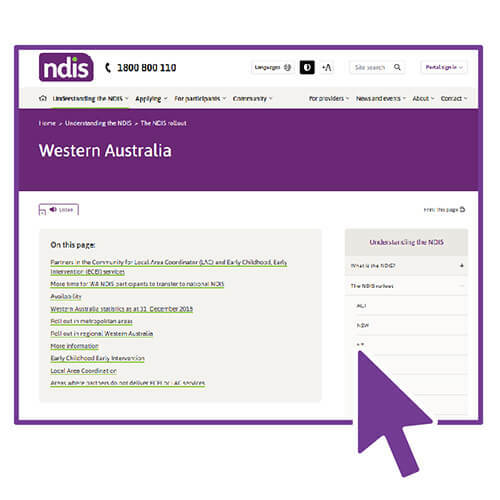 People who already registered with NDIS in WA started transferring to the national NDIS from April 2018. This was due to finish by December 2018, however, it has been extended. 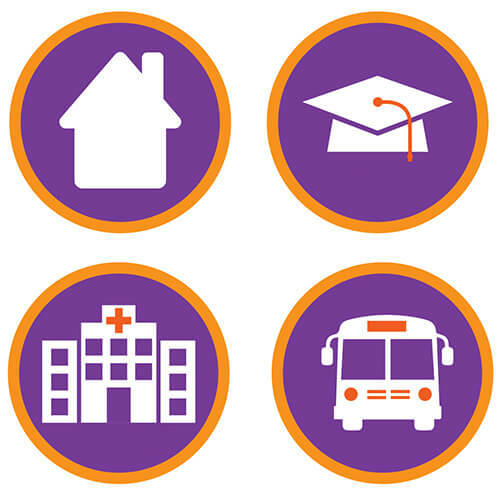 The WA Government will contact people transferring from the WA NDIS to the nationally delivered scheme and tell them what steps they need to take. The NDIS will roll out based on where people are located. It will be fully rolled out across WA by 2020. 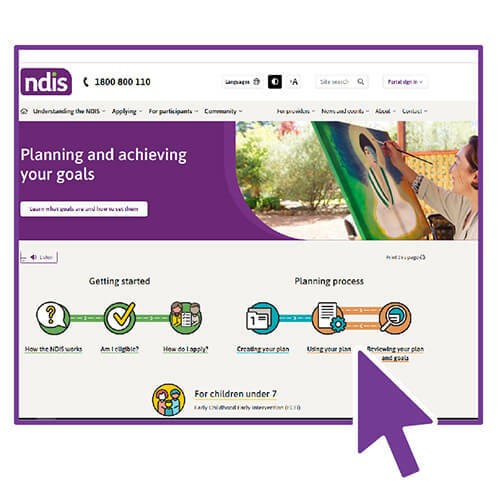 For more information about moving to the NDIS, you can visit the NDIS website. 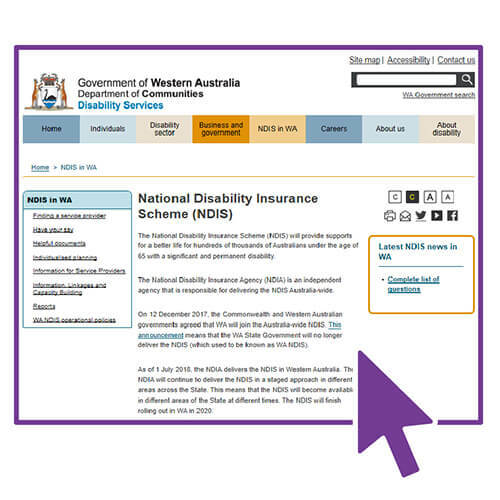 The WA Department of Communities Disability Services website also has information about the NDIS. 1 run by the WA Government Department of Communities – Disability Services. The WA Government was planning to run their own version of the NDIS in WA called the WA NDIS. In December 2017, the WA government decided to join with the Commonwealth Government. 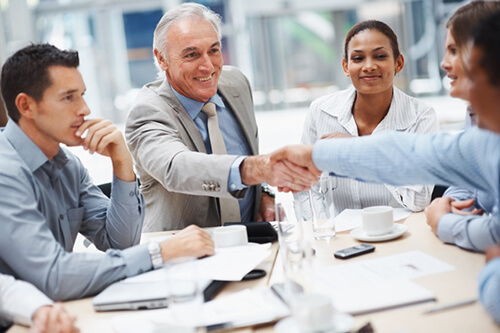 Both governments agreed that WA will join the Australian NDIS. 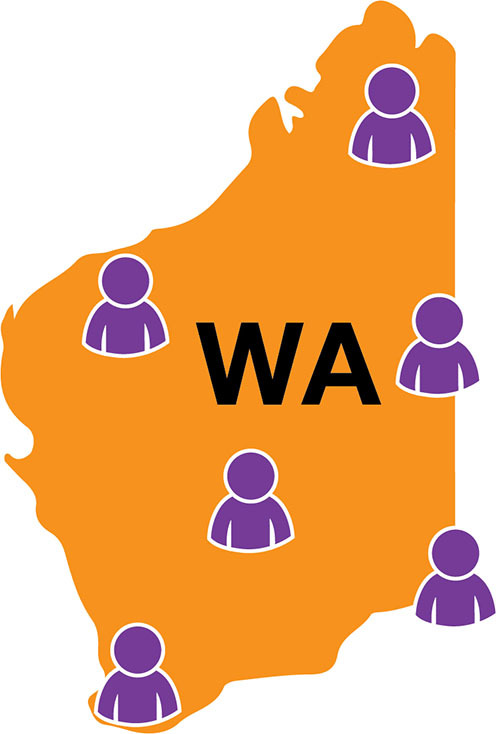 The Australian NDIS will start running in WA at different times depending on where you live. 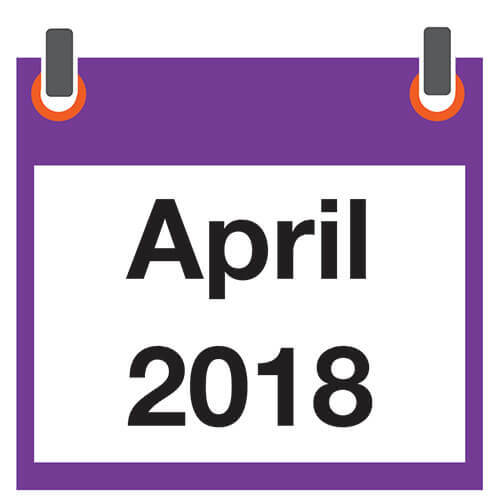 People who are already part of the WA NDIS started moving to the Australian NDIS in April 2018. The WA Government will contact people who still need to move from the WA NDIS to the Australian NDIS and tell them what they need to do. 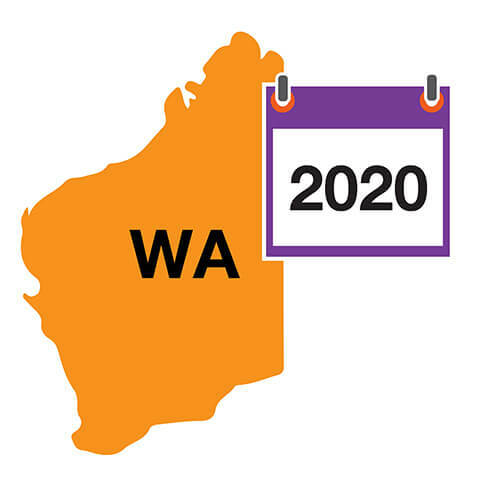 The Australian NDIS will be fully rolled out across WA by 2020. 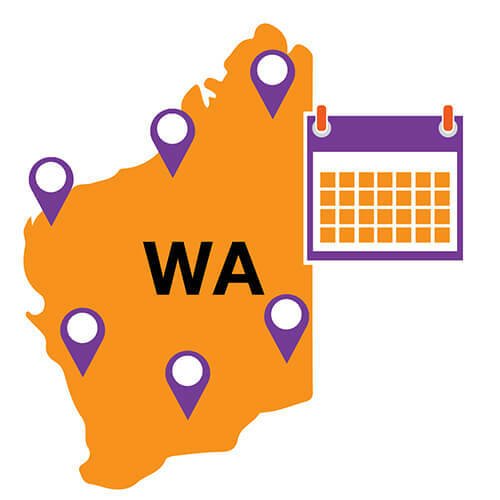 You can view the roll out schedule for WA here. 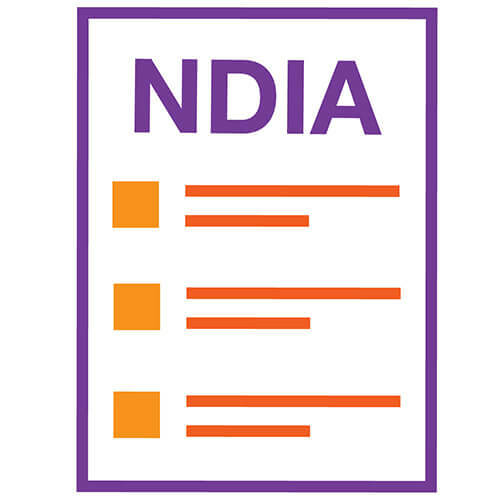 You can find more information on the National Disability Insurance Agency (NDIA) here.